Find more prospects that match the profile of your existing customers and add these new prospects to your CRM system. Enhancing your customer file with demographics, psychographics, and firmographics helps you develop your targeting criteria to expand your market. DatabaseUSA® Customer List Validation enhances your mailing & email lists so you can be sure you’re mailing to the right prospects. 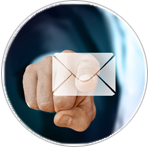 Whether you have an existing email list to clean or you want to stop bad emails from bringing down your lead accuracy, DatabaseUSA.com® provides you with the targeted marketing solutions you need. We sift through your customer list so you know your contact information is thorough and your leads are accurate. With accurate leads, your sales people can focus on selling & optimizing their sales process. Once you discover where ideal prospects are you can do better sales territory planning and give every rep a greater shot at success. Plan sales territories based on geography, firmographics and give sales reps the intelligence to engage with detailed contact profiles, demographics, etc. The DatabaseUSA.com® API will perform real-time data validation, hygiene, and enhancement and append enhanced data your marketing team can work with. Enriching your list with consumer demographic or business firmographic data helps you create a more personalized experience for leads. Fill out the form on this page and we’ll set you up with a FREE TRIAL that includes technical support to implement our API into your website. Email Verification: Stop invalid, fraudulent and malicious emails from getting on your email list. Fix data entry errors and salvage leads. Address Verification/Append: Add names and postal addresses for direct marketing. Telephone Verification/Append: Validate quality of phone number at submission and know if the number is business, residential, or mobile. Append phone if you have business name/zip code or residential name/zip code. Consumer demographic Intelligence: Enhance your lead form database with demographic, interest and purchase data, such as gender, age, income, donor history and more. Business demographic intelligence: Enhance your lead form database with business prospect firmographic data such as size of the business, annual revenue, industry (SIC/NAICS), years in business, corporate family tree, executive names, titles, and many more. The DatabaseUSA.com® API also supports postal and postal and phone validation and enhancement. Integrating it into your website is quick and easy, and response times are sub-second. Want to see how easy it is? Check out the Documentation of the DatabaseUSA.com® API Service that provides sample requests and responses you can use. Complete the form or call us at 877.407.0101 for more information on DatabaseUSA.com® Customer List Validation & Enhancement Services.